Are you looking to sell the car you currently own? 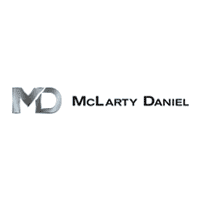 Even if you aren’t looking for a replacement vehicle, McLarty Daniel buys local cars from private owners! That’s right: we’ll buy your car even if you don’t buy ours! See, pre-owned inventory demand is at an all-time high in Northwest Arkansas, and that’s why we’d rather pay a private seller to bring a fresh, local vehicle into our inventory. We end up with a better vehicle to sell than if we had purchased inventory from out-of-state auctions or fleet companies — which is critical as we certify the majority of our preowned inventory with the McLarty Daniel Preowned Advantage, a 7 year, 200,000 mile warranty. We have found that well-serviced local vehicles are more likely to pass our rigorous 169-point inspection required! It’s a win for us, and it’s a win for you. We make the process fast and painless, with a fully transparent market-based evaluation with every purchase inspection. You get top dollar for your vehicle, without the hassle of trying to sell it yourself, and we get another great used car. By submitting this form you agree to be contacted by a McLarty Daniel Automotive staff member.